According to statistics published by Japan Tourism Agency, the top six destinations for foreign visitors from January to March, 2014 are Tokyo (48.7%), Osaka(24.7%), Kyoto (18.0%), Kanagawa (11.0%), Hokkaido(10.5%) and Fukuoka (10.5%). 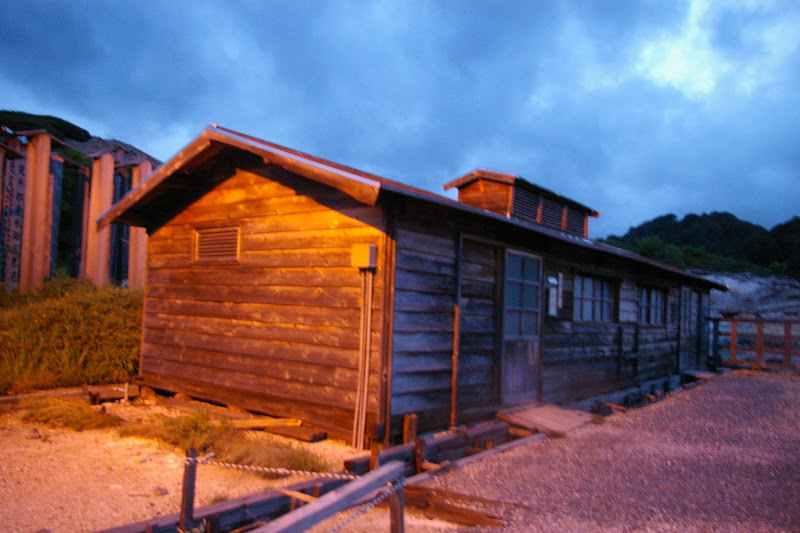 Although these places – most of them are urban areas – offer lots of attractions, you should not miss Japanese countryside where poetic sceneries, traditions and mysteries are still alive, especially if you expect something really Japanese, like things described in Kurosawa’s films or Miyazaki’s animation world. 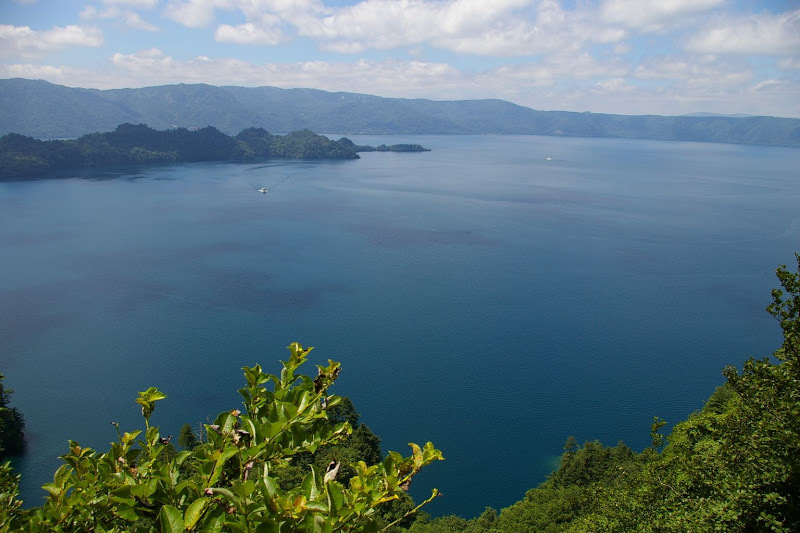 If you’re looking for summer destinations where you can feel deep Japan, I would recommend the Tohoku region (north part of mainland Japan) consisting of 6 prefectures – Aomori, Iwate, Miyagi, Akita, Yamagata and Fukushima. 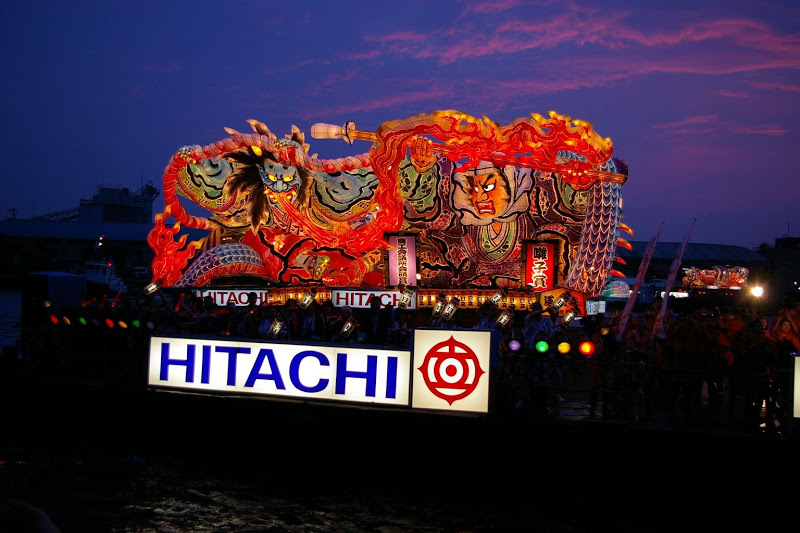 Not only because you can escape from the heat, but you can experience the best part of Japanese summer festivals. 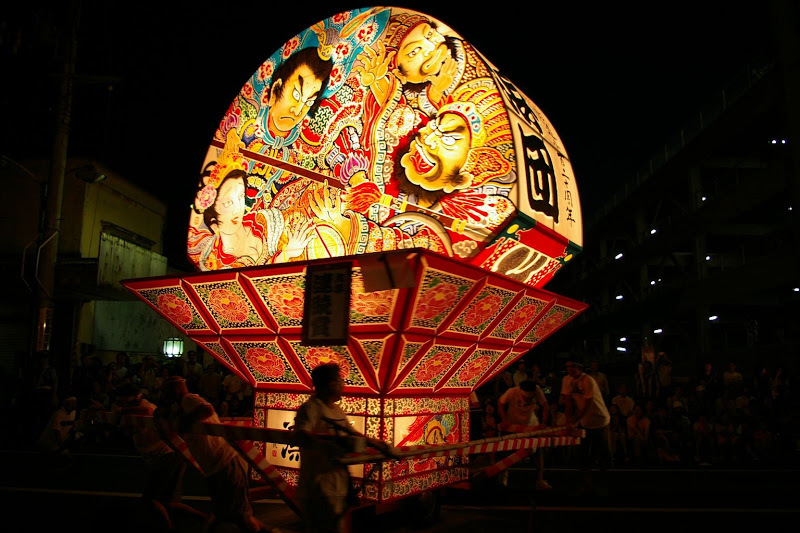 There are three great festival in Tohoku, namely Aomori Nebuta Festival, Akita Kanto Festival and Sendai Tanabata Festival, all of which take place in early August. 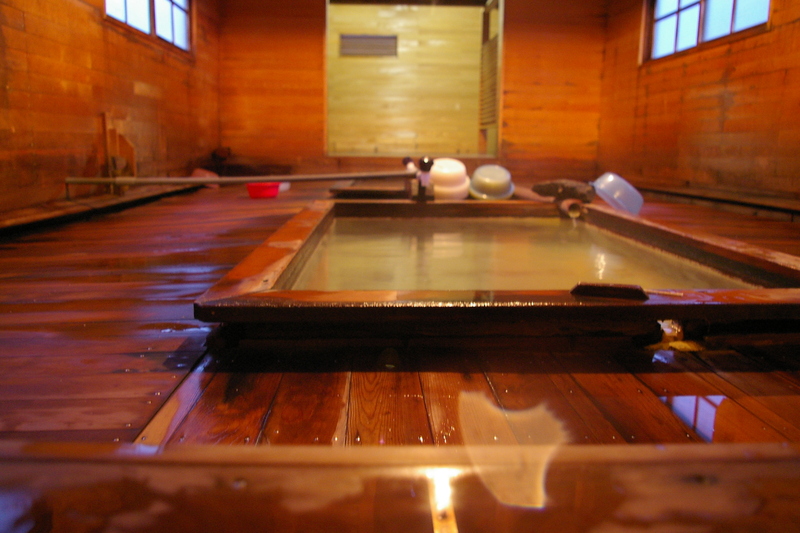 In addition, you can enjoy the dynamic nature and high quality hot springs. 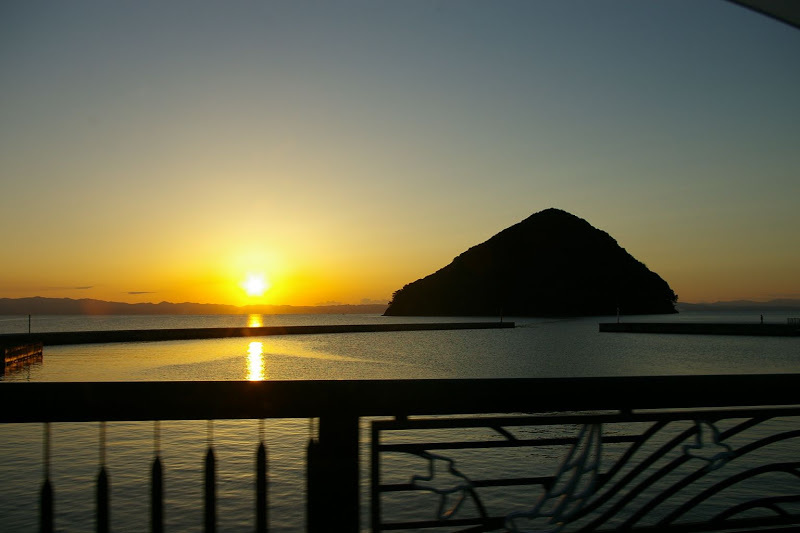 Above all, my favorite destination is Aomori prefecture where I used to live for two years. Aomori Prefecture is located in the very north of mainland Japan. It takes a bit more than three hours by bullet train from Tokyo. Aomori is not small like Tokyo, so it’s impossible to make one day trip. I would recommend at least 3 days to fully enjoy this area. And what attracts me is its state of chaos: There is beautiful nature as represented by Shirakami-sanchi, world natural heritage site as well as traditional festivals and events, interesting folk beliefs. 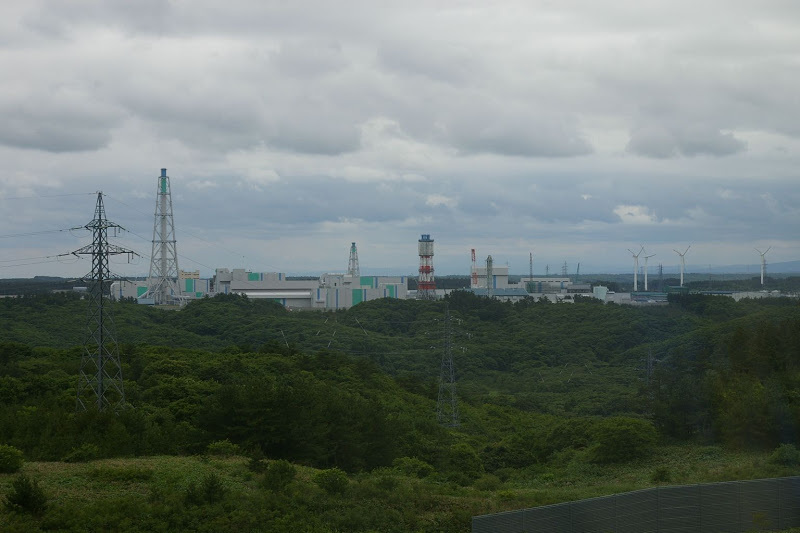 On the other hand, there exist military facilities and rare energy related facilities such as nuclear reprocessing plant, which are still controversial. It’s one of the best places to learn what’s hidden behind Japan’s buoyant image of developed country. I try to introduce some of their charms in this article. Don’t miss it if you come to this area in summer. 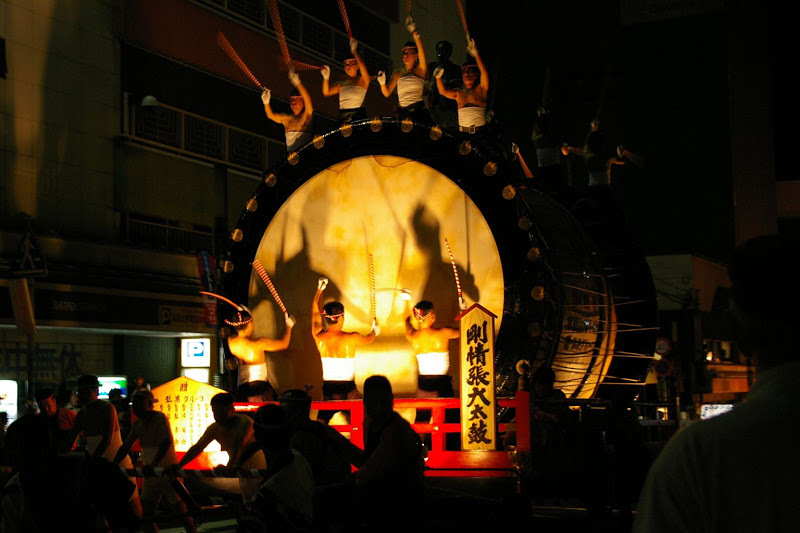 Festivals in Aomori is like an explosion of passion in a very short summer in the north. You’ll be dazzled by fever, lights and music – It’s just like a dream. Among lots of festivals (e.g. Hachinohe Sansha Taisai, Kuroishi Yosare etc. 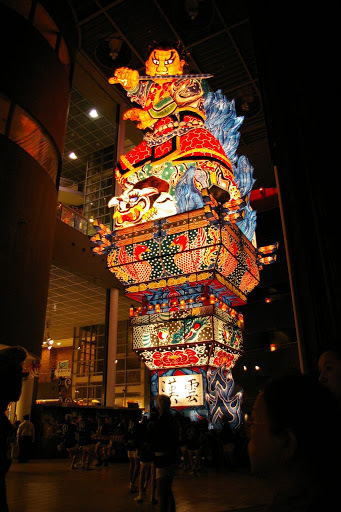 ), the most famous one is Nebuta. 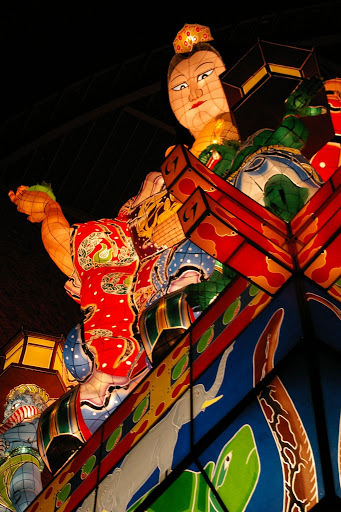 Nebuta has lots of variations in themselves, but the followings are well-known. 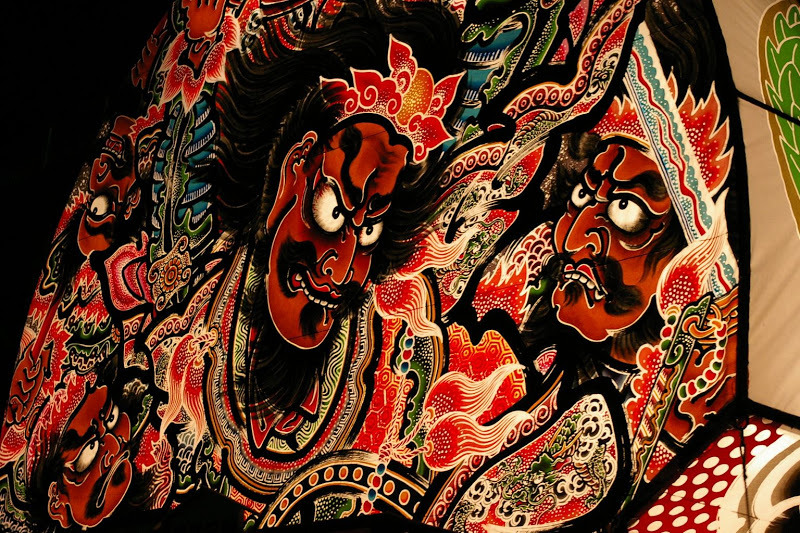 It’s interesting to compare three different Nebuta, to see how their style and atmosphere is different from each other. 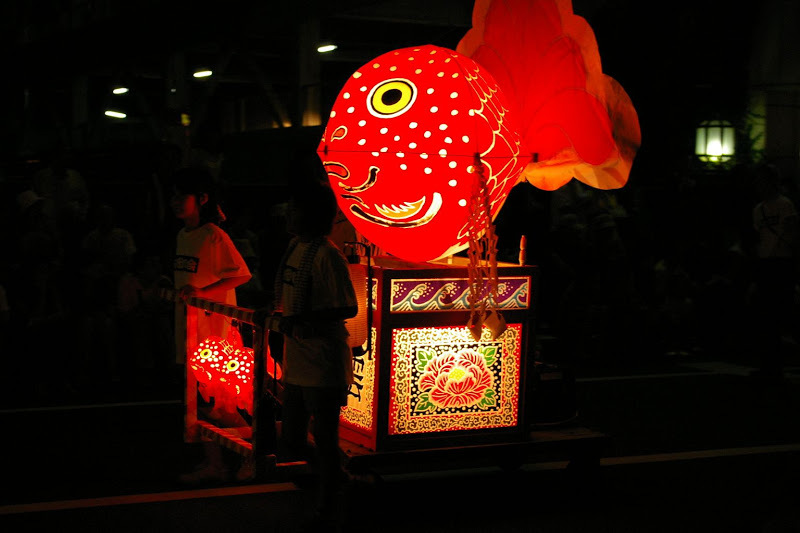 Huge lantern dolls Nebuta parade on the street with ‘haneto‘ jumping dancers, ‘baketo‘ performers and musicians, shouting “rassera, rassera, rasse rasse rasse ra…” originating from ‘dase‘ meaning ‘hand over’ to request candles, sake or candies. You’ll notice lots of bells on haneto’s outfits. As they jump so hard, these bells easily fall out. It is said that you’ll be happy if you can catch or pick them. You can rent an outfit and join as a dancer as well! 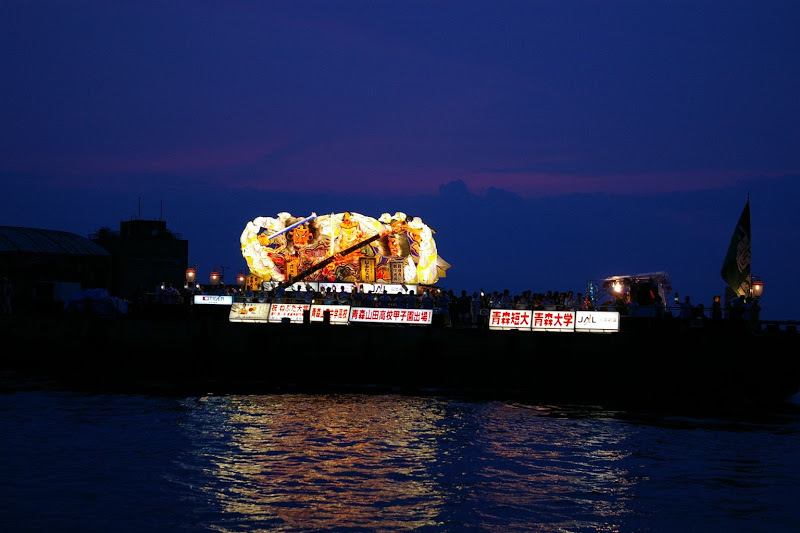 On the last day, they will float their Nebuta on the sea. Then we will realize this festival are related with the custom of lantern floating which will send the dead spirits and our impurity to another world. Fan-shaped Neputa (here, it’s called ne’pu’ta) parade along the Iwaki River, with the slow shout ‘yah-ya-doh’ in the old castle city, Hirosaki. While Aomori nebuta is dynamic and cheerful, Hirosaki Neputa conveys dignity and elegance. 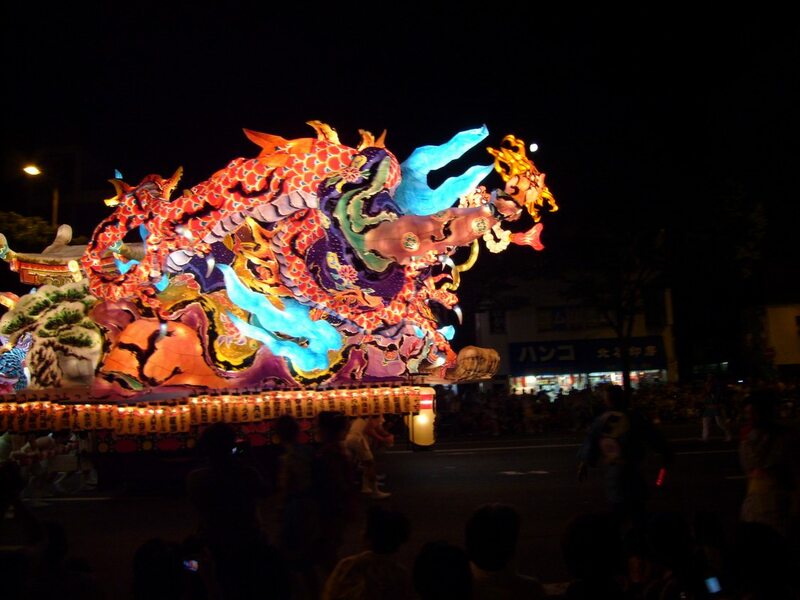 Tachineputa means ‘standing Nebuta’. You’ll be amazed to see that Neputa in Goshogawara is gigantic. They shout provocatively, ‘Yattemare! Yattemare!’ (beat them! or go for it!) with masculine dance and music, which creates cool impression compared to other two. 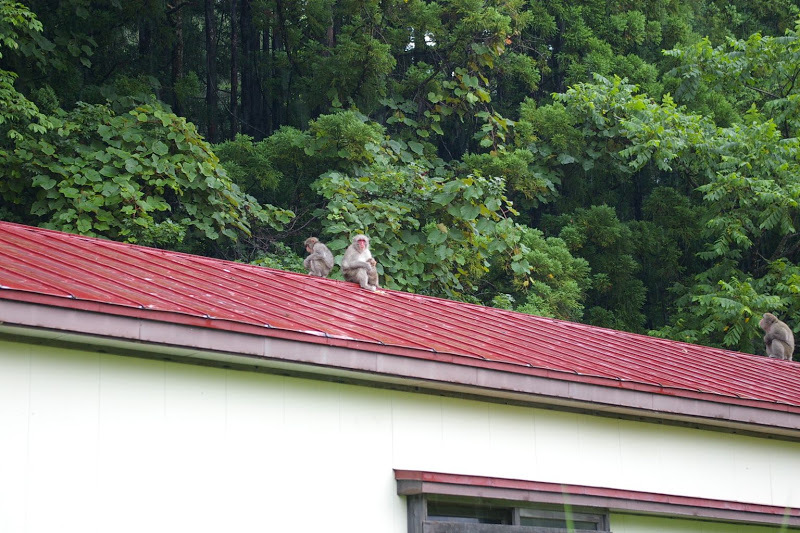 Wakinosawa Village in Shimokita Peninsula is famous for Japanese monkeys and deer. They come down to the village to find food due to deforestation. The damage caused by monkeys are serious. They eat what the villagers grew and even what’s stored in their house. When I visited there, I felt as if it was a real life version of Planet of the Apes. The number of monkeys on the street were apparently bigger than that of villagers. 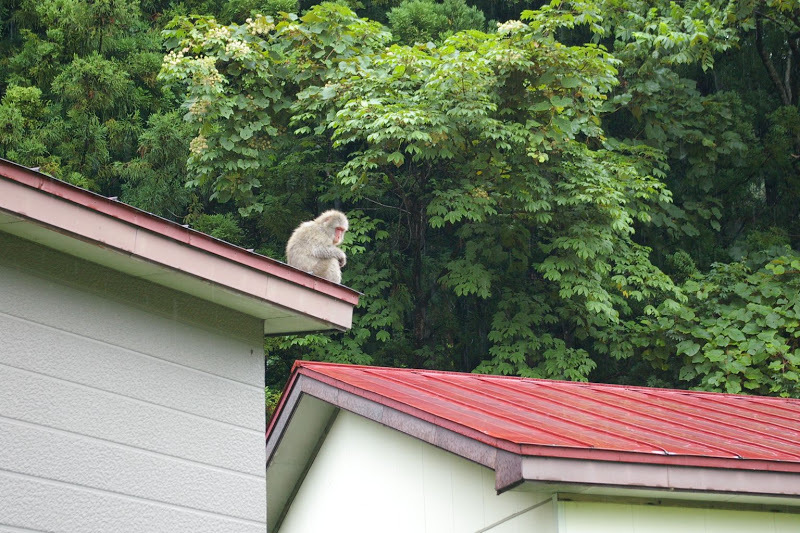 In the village, like a weather forecast, the village announces the information on where monkey appear several times a day. 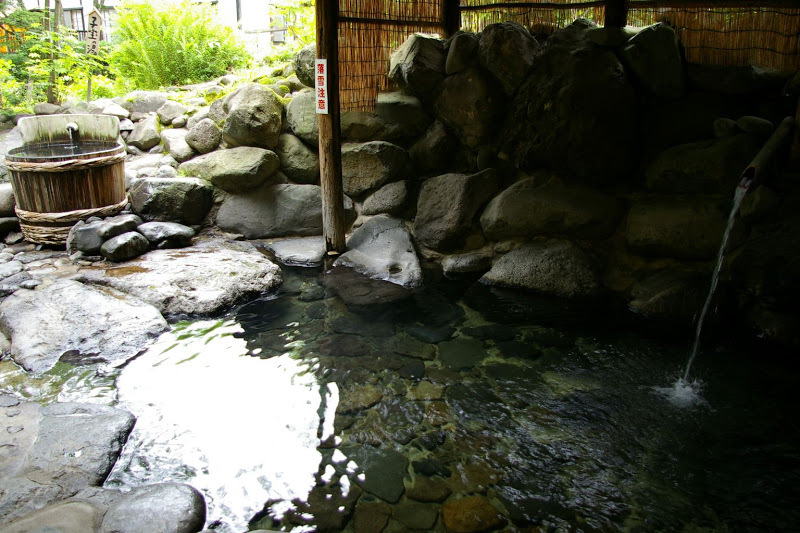 However, the most striking and coolest hot spring I ever visited in my life is the one which is located in Osorezan (Mt. Osore) in Shimokita Peninsula. 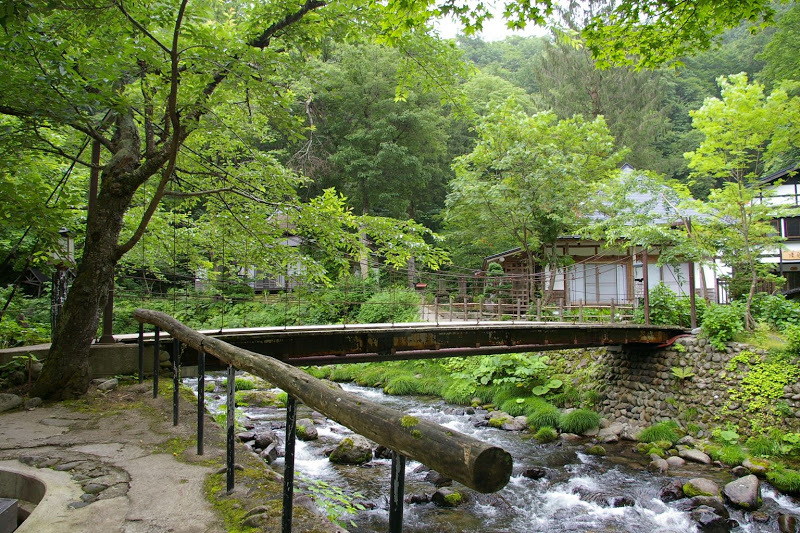 Osorezan is famous as a spiritual place. 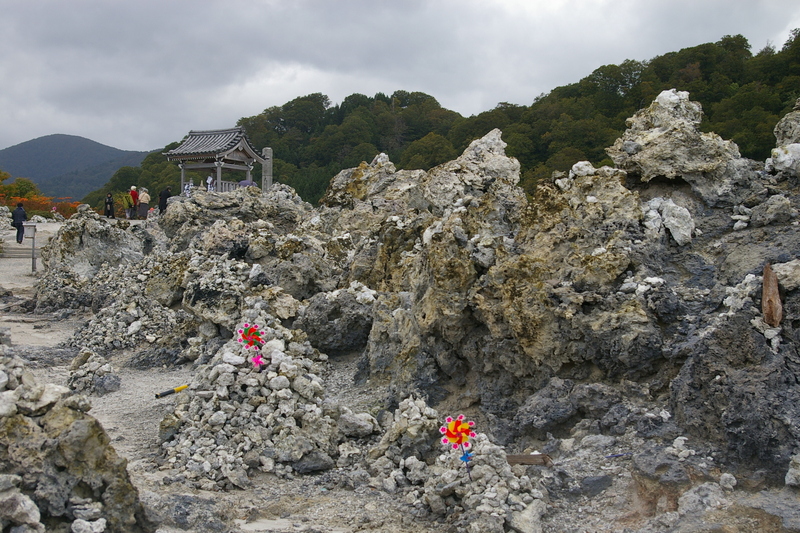 In this area, it has been said that people go to this mountain after their death. 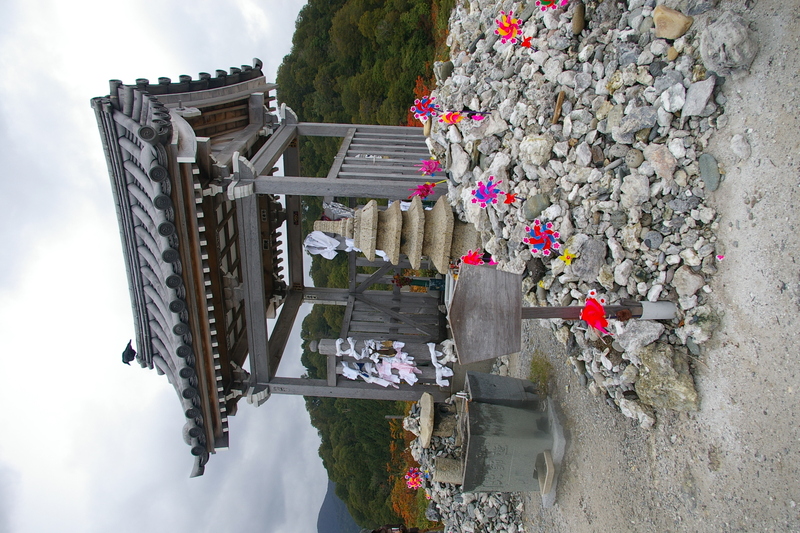 Many people visit itako (necromancers) to communicate with the dead people while they gather in the festival seasons in July and October. It is not really well-known that there is a hot spring in this place. So, it is not crowded and the quality of hot spring is just nice. If you are planning to visit this mountain, don’t forget amenities and towels! Now Sakura (cherry blossom) is well-known as a representative of Japanese spring. Then which plant best represents Japanese summer? When I envision a nostalgic summer scene, two plants immediately come to mind: asagao (morning glory) and hoozuki (Chinese lantern plant). 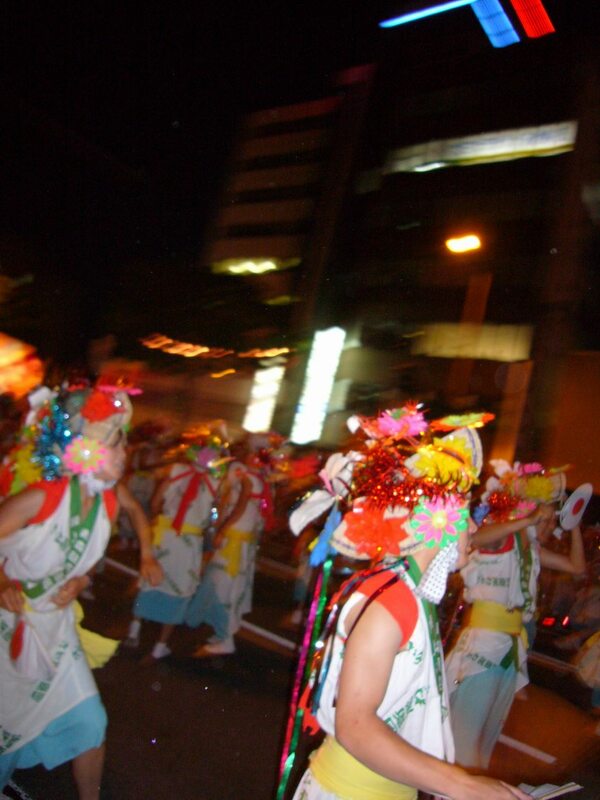 They bring up the image of summer vacation, festivals and the Bon season. While sakura trees are on the street, making a part of the landscape, these plants are usually enjoyed at home – in flower pots to decorate the space under the eaves of houses. 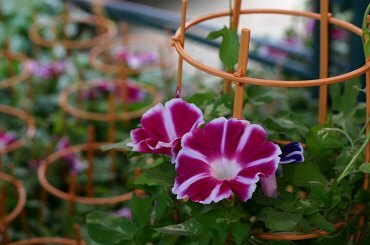 Morning glory is a typical plant used as an educational material in the subject called living environmental studies for children in lower grades in elementary schools. Usually, they take care of their own pots from seeding, watering to gathering the seeds with writing observation diaries. Asagao is adopted in schools not only because it’s easy to grow but also it will bring lots of awareness to children such as the importance of taking care of plants and scientific wonders. It’s no exaggeration to say that this kawaii flower cultivates our basic gardening skills. Growing asagao, however, is not only a childish hobby. Recently it gets attention as one of the popular spiecies for green curtain, but this flower has been popular since a long time ago. At first, it was imported to Japan more than 1,000 years ago as a medicinal plant with a laxative effect. In the edo period, asagao, especially mutant ones became very popular among common people. Even today, plant lovers enjoy mutant morning glories, calling them henka-asagao (henka means ‘change’). 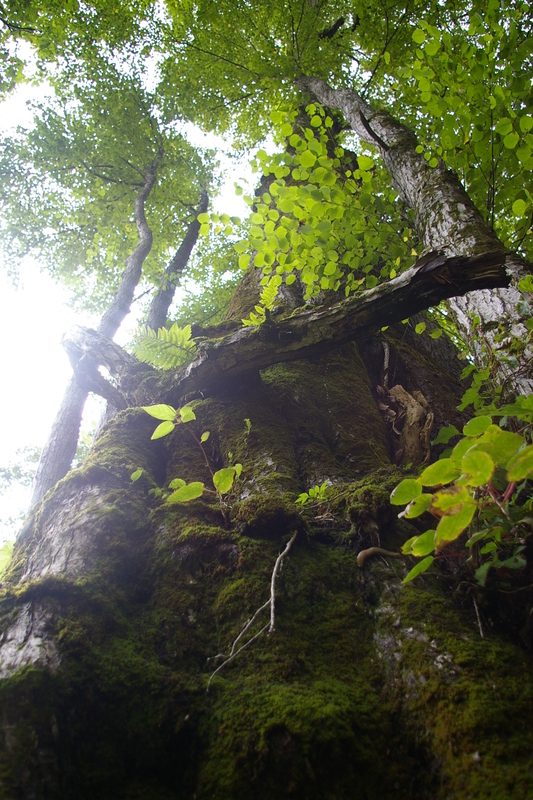 Hoozuki had been used as a medicinal plant in the old times as well. It became also popular in the edo period and both asagao and hoozuki were sold by plant peddlers. While it was used for various purposes like a tranquilizer among common people, it is said that yuujo (courtesan or professional prostitute) used hoozuki when they wanted to have an abortion. 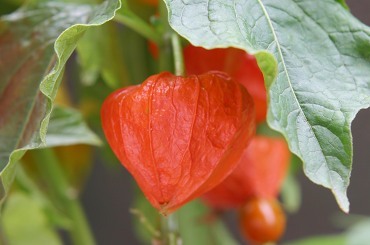 Aso, this plant has been used to decorate Buddhist altars at home as it looks like lanterns guiding the spirits. Today, in many parts of Japan, asagao markets and hoozuki markets take place, announcing the arrival of summer. One of the most famous ones are Iriya Asagao Festival in Kishibojin Temple (also called Kishimojin Temple),Tokyo and Hoozuki Ichi in Sensoji Temple, Tokyo. Those who visited Japan in the old times, like Philipp Franz Balthasar von Siebold, Robert Fortune and Vittorio Arminjon, were fascinated by the Japanese gardening culture in which even poor people enjoyed growing plants making the best of the limited space and resources. These festivals can be a great chance to get a glimpse of the traditional Japanese gardening culture which is still alive.